Note: This a rather more tongue in cheek, ‘Catlin Moran capitalise RANDOM words style’ of blog post than this blog is used to I’m afraid. It was going to be published on my personal blog but this blog has more of a following and the message is important. Additionally, I’m writing this on the fly in the midst of exam revision and such the blog will not be updating in its professional, journalistic fashion- or perhaps at all- for another couple of weeks. WWEPD? What Would Emmeline Pankhurst Do? If you have two X chromosomes and live in Britain you should really go vote today. People who don’t tend to annoy me. Its all ‘they’re all the same’, ‘they never live up to their promises’, blah blah blah. Women who don’t vote annoy me even more. women’s busy schedule scrutinising the ways to be better in bed and make their hair shiner in women’s magazines so one day they can trick a man into marrying them, paying for that lobotomy and granting them eternal, mindless bliss. However, as I’m sure you vaguely heard in the back of that History lesson when you were 14 and passing notes about whether the boy in your French class fancies you, Emily Wilding Davison threw herself under a horse she was so annoyed about not being allowed to vote. 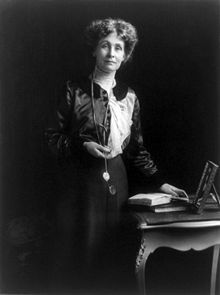 Emmeline Pankhurst, who was ALREADY A MARRIED LADY, campaigned for most of her life along with her daughters to get the vote. Betty Friedan and Gloria Steinem argue, journalised and campaign to get women equal pay. Germaine Greer is still breaking taboos to get women equally respect in the bedroom. Its important. By not voting you are giving the patriarchy an excuse to ignore you. We have fought for over a hundred of years for the right to smack any man that pats us on the head and says ‘Don’t Worry Your Pretty Little Head About It’, lets not give up the advantage now. WWEWDD? 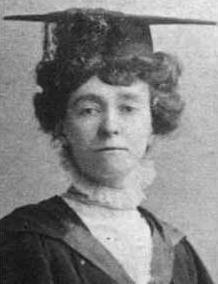 What Would Emily Wilding Davison Do? A lot of the apathy surrounding elections is based on the assumption that elections are for electing new leaders. As the last General Election and its hung parliament proved, this is a silly assumption. Whilst we still have hierarchy, barriers to social mobility and inequality the goals of an election have to be different. The purpose of an election now is not to make a new political establishment out of the mob, its to make the political establishment fear the mob. For instance if there is a large number of females voting, politicians are going to want to act like they speak for us and thus we get stuff. If we start getting vocal about the stuff we actually want, politicians will stop pandering and give us more than just ‘making it cheaper to get married and have babies’ the way the current coalition are. During the heady days of the Third Wave Feminist movement, the sight of angry young women pounding the pavements of Britain to demand equal rights lead to the Abortion Act, the Equal Pay Act and a hold host more legal safeguards against discrimination. Had we not had the power, or exercised that power, to get rid of them in a public vote every few years they would never had bothered. The only power patriarchy holds in a modern, democratic system is the power we give them. Apathy is not a protest vote. Its a signal that you don’t believe your opinion matters. Why would a politician work to provide for someone who would never vote for them? It would be politically counter-intuitive. What do you do if an authority won’t listen to you? Shout louder, stamp your feet, take away their power over you but don’t just storm off in a sulk. If you are genuinely undecided then spoil your vote. Give the weary, sameness of the main political parties and the naivety, occasional stupidity and some malevolence of the fringes it is easily to be lost for an cross in a box. I would strongly advocate the adoption of ‘None of the Above’ option on the ballot paper as I believe is custom in Australia. However in the meantime, writing it on yourself is the best option. Its time the women of Britain, and all over the world, stop complaining about patriarchal tools of suppression and started taking them away from them. So when you go to the ballot box today, proudly declare by any means of your choosing; on Facebook, Twitter, Tumblr, randomly shouting it in the street. You don’t have to say how you voted just that you did and shame those who didn’t with the hastag denouncement: #emmelinepankhurstjudgesyou. I think she would be proud if you do.